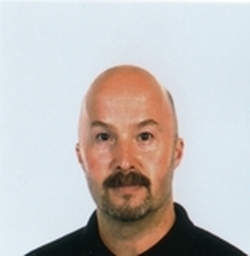 Simon Dickson BA ARMT TQFE IPD SMTO is a well respected Sports and Advanced Remedial massage therapist based at the Sports club in Bridge of Allan, Scotland. Having worked very successfully in the world of financial services as an Independent adviser, Assistant Human Resources manager for Scotland and Northern Ireland and laterally as a Training consultant with Barclays ,Simon began his career in holistic therapies in 2000,obtaining Diplomas in Swedish Massage, Indian Head Massage, Reflexology, Reiki, Auricular Therapy and Metamorphic Techniques from South Trafford and City Colleges in Manchester.He spent 4 years studying in Boston and Cape Cod in the USA where he gained Diplomas and State Licenses in Advanced Aesthetics and Cosmetology. In 2004 he became a member of the American Medical Massage Association. Returning to Scotland in 2005 Simon continued his studies with Scottish Massage Schools in Edinburgh where he was awarded the Institute of Complimentary Medicine Shield for most outstanding graduate in Advanced Remedial and Sports Massage. He then went on to lecture both in Edinburgh and Aberdeen for the school, passing on his knowledge and expertise to others. In 2012 Simon became one of the first therapists in Scotland to qualify as an Oncology massage therapist and volunteered regularly at Strathcarron Hospice, as well as treating clients in his clinic who were living with cancer. An extremely important part of Simon’s job, in addition to massage, is looking after his clients’ skin.He has worked with numerous skin care providers in the past including AVEDA, DARPHIN and DERMALOGICA, becoming the first therapist in Scotland to be awarded the prestigious Advanced Diploma in skin care from the International Dermal Institute . Whilst he has worked with Dermalogica for many years he is now offering in addition, Glycolic facial peels from MEDPEEL . These treatments include the use of Hayaluronic replenishing serums as well as Vitamin C anti ageing serums. Some of the problems clients have experienced that Simon has improved dramatically are: Teenage/Adult Acne, Sun damaged, Sensitised and Prematurely Aging skin as well as proper advice on shaving for men, showing them how to avoid razor burn, ingrown hairs and breakouts. Simon has helped numerous clients of all ages maximise their skin’s potential and provides a FREE skin consultation on request. Simon provides an excellent, professional and therapeutic Sports Massage therapy service based in Bridge of Allan. As a GP I have made numerous referrals to Simon for a variety of musculoskeletal problems and sports injuries and have had excellent feedback from my patients who have seen him. Many have had outstanding results and continue to see him either on a regular basis or as required. I would highly recommend Simon – he excels in his field. I have been a client of Simons for many years and he has helped both myself and my family with numerous aches and pains relating to park runs, 10ks, triathlons and also marathon training. He works on the basis that prevention is better than cure, identifying any potential problems before they arise and his skills have ensured that we have been able to compete regularly over the years with the minimum of injuries.. He is an essential part of our training plan! Having enjoyed massages for many years, I am particularly impressed with Shelagh’s high level of skill and professionalism. I believe that it is important to keep the body maintained to prevent aches and pains progressing to long-term difficulties, and this is exactly what Shelagh does. Her competent hands unfurls the knots and soothes the pain of a body under stress. I always look forward to my appointment, and the feeling of floating home afterwards. Therefore I thoroughly recommend Shelagh to you.